Yesterday we published an article showing the main features available in Minecraft Bedrock 1.2.20.1. Most of the community players appreciated this update and paid special attention to the dolphins that did not appear in Minecraft Java snapshot at that time. So if you want to quickly see all the content from version 1.2.20.1 then just open this map. You can swim next to the dolphins and take a closer look at their fins. 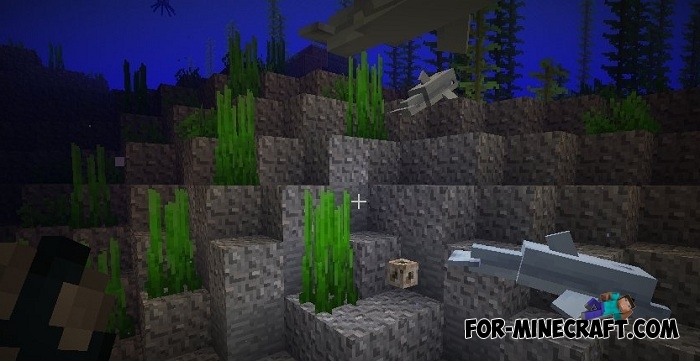 Then go on to explore the underwater caves and canyons that are now generated in underwater biomes. Download MCPE 1.2.20.1 and test all the newest first.